Hello Sunshine! Does the summer heat kill your healthy lips vibe? Because it kills mine! Well, it started doing so until I went ahead and reached out for my go-to lip buddies, my trusted Burt's Bees lip balms. Believe it or not, Burt's Bees lip balms are the only lip balms I actually finish down to the last drop. Others, I would end up not using or forgetting. But never with my Burt's Bees lip balms. 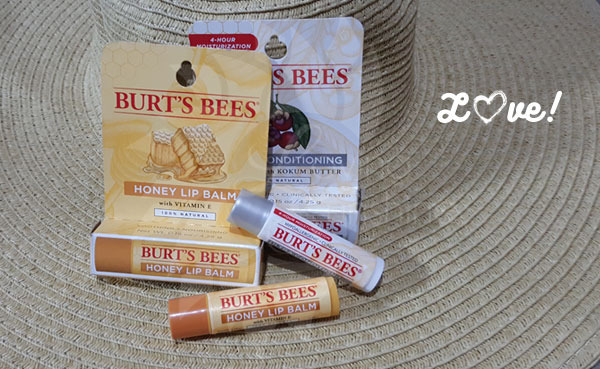 In fact, I use my Burt's Bees lip balms like they're skincare--yup! Literally, after applying my moisturizers, I would apply lip balm--even before I sleep! Rightfully so, because Burt's Bees lip balms are proven and tested winners when it comes to soothing and conditioning my often dry lips. So for my summer update... I recently found myself out of lip balm! Like in the middle of my Visayas Vacation #VisVacay 😜 I realized my lip balm's wiped out!!! It was dreadful. Imagine, I was travelling and dealing with airplane recycled air without a lip balm? Horrific. I also noticed that the Honey lip balm has a slightly thicker consistency or glide. It's not that it's sticky, but it definitely feels richer when applied compared to the Ultra Conditioning lip balm. As for the moisture, I can't really compare much but so far so good. I do re-apply, like when I eat or drink water, but since the Honey lip balm smells (and yes, tastes pretty darn sweet), I don't mind re-application at all! Now that I'm going out of my comfort zone, trying the Burt's Bees Honey lip balm, I'm definitely going to compare whether my lips are more hiyang to my old fave or to this new lippie discovery. A selfie from my recent #VisVacay... selfie an lip balm lang katapat! Over-all, I must admit that I used to not take lip balms seriously. But that all changed when I started getting serious wind burns due to extreme weather (or at least room temperature!) Like for example, in the office, I'm directly under the aircon. It gets really cold, and it reaches a point where it's so unbearable for my lips--they crack! Cracked lips = no joke y'all! One time, my lips were so dry that when I smiled, they didn't just crack. The skin got torn! It was so painful, I couldn't smile for days! Even more, 'til now the line from that wound is evident. Like it became a lip line... smh so yes, for your own benefit, care for your lips. If you know you'd be in a cold, hot, or dry room for a prolonged period of time, make sure you have a lip balm. You lips would thank you for the love! How about you, have a favorite lip balm? Share!